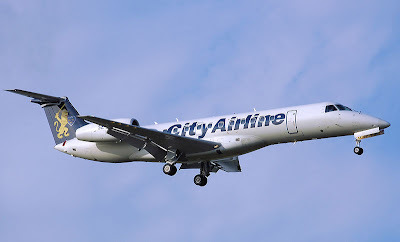 City Airline will from May 9th fly non-stop from Stavanger Airport to Moss Rygge Airport, filling the void left by Norwegian Air Shuttle, that previously had direct flights between the two airports. The Göteborg-based airline City Airline has flights to 18 European destinations. It extends its service from Stavanger to Göteborg, including Moss-Rygge Airport, the airport serving Østfold County, bordering Sweden. City Airline will have one flight on weekdays, Monday to Friday. The air carrier will, on the one hour flight, use one of its 50 seats Embraer ERJ 145 air crafts.